Held captive for years in a small shed, a woman and her precocious young son finally gain their freedom, and the boy experiences the outside world for the first time. To five-year-old-Jack, Room is the world. . . . It's where he was born, it's where he and his Ma eat and sleep and play and learn. At night, his Ma shuts him safely in the wardrobe, where he is meant to be asleep when Old Nick visits. Room is home to Jack, but to Ma it's the prison where she has been held for seven years. Through her fierce love for her son, she has created a life for him in this eleven-by-eleven-foot space. But with Jack's curiosity building alongside her own desperation, she knows that Room cannot contain either much longer. 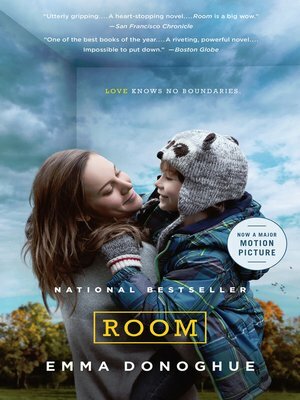 Room is a tale at once shocking, riveting, exhilarating—a story of unconquerable love in harrowing circumstances, and of the diamond-hard bond between a mother and her child.